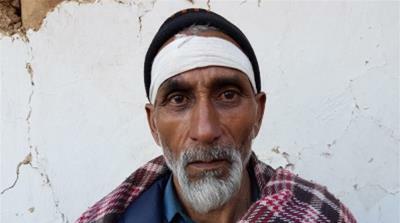 Jaba, Pakistan – Indian air strikes launched on Pakistani territory earlier this week destroyed parts of a mostly uninhabited forest and a farmer’s field, witnesses and local officials told Al Jazeera, although mystery remains around a seminary run by armed group Jaish-e-Mohammed (JeM) near the bombing site. 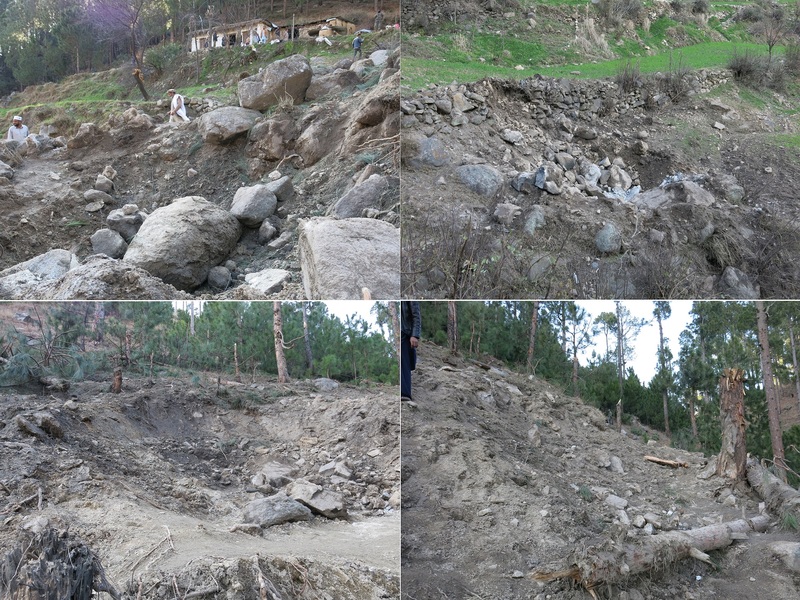 Four bombs hit a forest and a field in a remote area outside of the northern Pakistani town of Jaba, about 100km north of capital Islamabad, Al Jazeera found on a visit to the site on Wednesday. Splintered pine trees and rocks were strewn across the blast craters, and there was no evidence of any infrastructure debris or casualties. Metal shrapnel from the bombs was visible at four distinct craters. Pakistan denied that any casualties had occurred. On Wednesday, Pakistan’s military said its aircraft launched air strikes on six locations on the India-administered territory in the disputed region of Kashmir. Local hospital officials and several residents who rushed to the scene said they did not find any bodies or wounded people following the Indian attack, which took place at approximately 3:00am local time on Tuesday. When Shah went outside to investigate, he said, a piece of shrapnel or a stone struck him on the forehead, leaving a wound. Syed Rehman Shah, 50, a neighbour, said he, too, ran outside his home when he heard the explosions. Shah said he saw “fire and smoke” when he exited his home, and ran to the aid of his neighbour. Shah was unconscious on the ground with a wound to his forehead, Rehman Shah said. He was moved to safety and later taken to hospital. 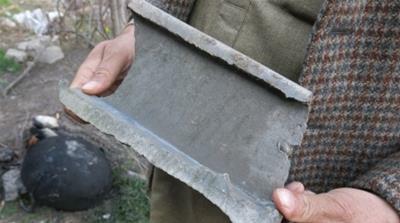 The walls of Shah’s home appeared cracked, with several holes where shrapnel appeared to have hit them. Following the air strikes, India’s foreign ministry said it had hit a training camp run by JeM founder Masood Azhar’s brother-in-law, Yousuf Azhar. Founded in 2000, JeM is an armed group that has launched several high-profile attacks against Indian security and government targets, mostly in the disputed region of Kashmir. Most recently, JeM claimed a suicide attack that killed more than 42 Indian security forces personnel in the Indian-administered Kashmir town of Pulwama, triggering the latest crisis between nuclear-armed India and Pakistan. India accuses Pakistan of offering sanctuary to JeM and other armed groups. Following the Pulwama attack, a top Indian military commander said the country had evidence the attack had been “controlled” by Pakistani intelligence. Pakistan denies the charge, and says it has been acting against JeM since it banned the group in 2002. Less than a kilometer to the east of one of the bomb craters, atop a steep ridge, sits a seminary run by JeM, residents told Al Jazeera. A road sign located some distance away confirmed the location of the seminary, and that it was run by the armed group. 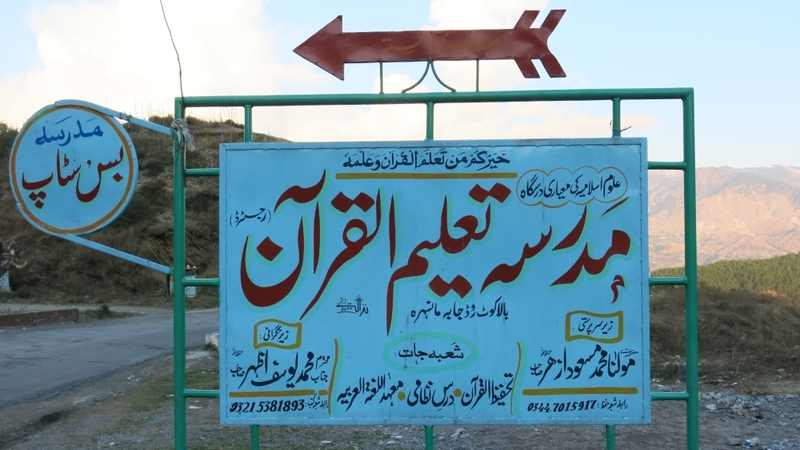 The sign for the Madrassa Taleem-ul-Quran lists Masood Azhar as its leader, and Muhammad Yousuf Azhar as its administrator. Masood Azhar founded the JeM after he was released from Indian custody in exchange for more than 150 hostages after the hijacking of an Indian commercial airliner in 1999. He remains under US sanctions for JeM’s alleged links with the Afghan Taliban. Yousuf Azhar is wanted by India in connection with the 1999 hijacking. Al Jazeera was unable to visit the site of the seminary. Residents offered conflicting accounts of the facility’s work, with some saying it only offered religious education for local school children, while others alleged it was a training camp for JeM fighters. “The madrassa there, at the top of the mountain, that is a training camp for mujahideen [religious fighters],” said one resident, gesturing in the direction of the seminary. He spoke on condition of anonymity given the sensitivity of the subject. Others, however, disputed that claim. “There is no camp here, and no terrorists either,” said Mir Afzal Gulzar, who lives a few kilometres away from the bombing site. “There was a mujahideen camp here, during the 1980s, but it is gone now,” he said. There is evidence to suggest the seminary was an active recruitment centre, if not training site, for JeM. In April 2018, Abdul Rauf Asghar – a top JeM commander and Masood Azhar’s brother – addressed a yearly religious gathering at the seminary, calling upon those present to join “jihad”, or Islamic religious war, according to an article in JeM-affiliated publication al-Qalam. “This institution is progressing every day in its aim of providing education, and instruction in religion and jihad,” reads the article. Speakers at the event praised the concept of fighting in the name of religion and “offered arguments against certain notions that have been spread against jihad”, the article says. A US Department of Defence memo dated January 31, 2004, leaked by Wikileaks in 2011, indicates the existence of “a [JeM] training camp that offers both basic and advanced terrorist training on explosives and artillery” located near Jaba’s geographic location. The memo detailed the case of Khalil Rehman Hafez, a Pakistani national and member of JeM, who was captured in Afghanistan while fighting US forces and transferred to the Guantanamo Bay prison. Hafez was released and repatriated to Pakistan in 2004. Back at the bomb site in Jaba, the afternoon sun shines through a thick pine forest, as local residents gather at Nooran Shah’s house. Some investigate the crater, under the watchful eye of Pakistani soldiers, while others pose for local news media cameras. In the shadow of the cracked wall of Shah’s house, a defiant group begins to yell patriotic slogans for the cameras. Shah, a slight man clad in a blue shalwar kameez and still sporting a white bandage around his forehead, turns to face another interviewer. This golden retriever wrapped in festive lights.